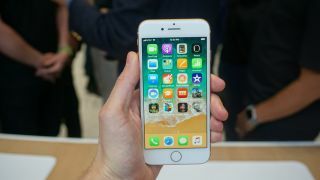 Apple has confirmed that a fix is on the way for the reports that are currently circulating on various forums that the iPhone 8 makes a crackling sound for some users during phone calls. If you’d rushed out to be one of the first to get your hands on Apple’s new flagship, and found that your handset crackles, it would be a pretty disappointing turn of events. But luckily for those affected users, it looks like the fix is a relatively simple one. It will be a relief for users to hear that the problem is software rather than hardware related and that all that will be required is an update, rather than taking the handset back to be repaired. Apple is usually pretty quick at rectifying software issues (especially just after a new launch), although at this time the patch is yet to be released. When we hear more about the update, we’ll let you know.